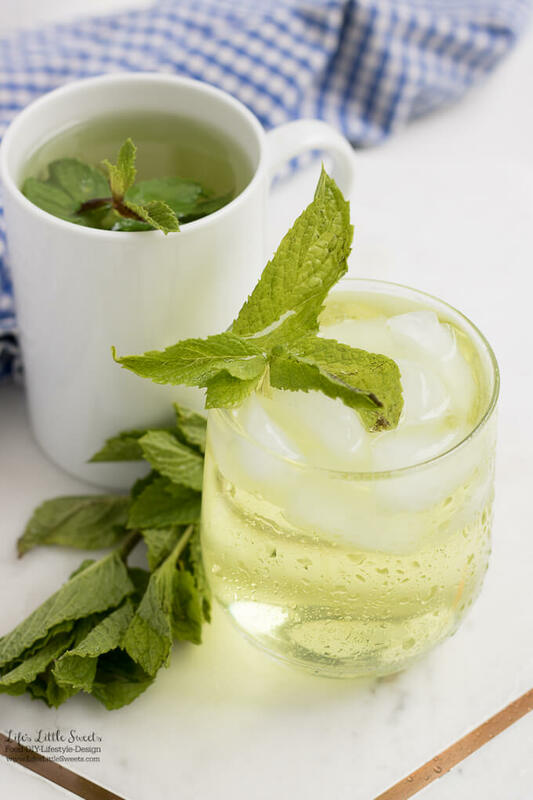 This Fresh Mint Tea recipe is light, so easy to prepare and delicious to enjoy. 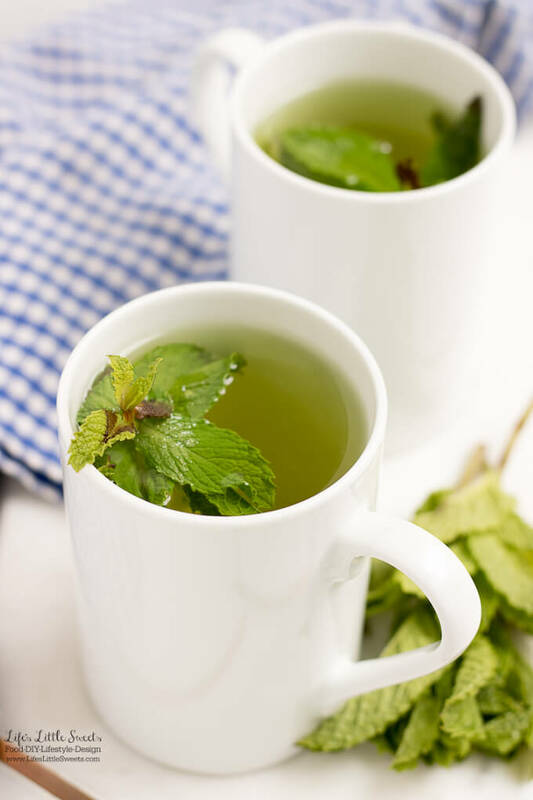 All you need is fresh mint leaves, boiling water and a few minutes and then you can be some Fresh Mint Tea! Enjoy hot or cold. See how TYLENOL® helps me when I have aches and pains. Hi Everyone! 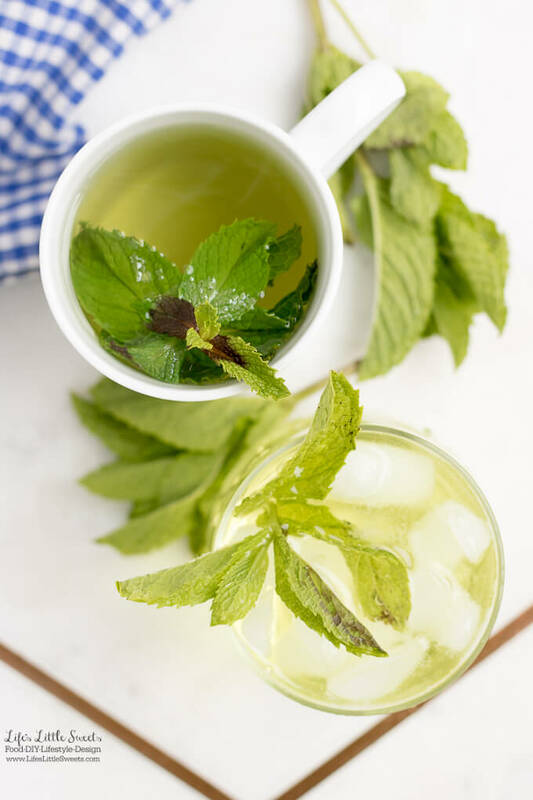 I am excited to share this Fresh Mint Tea recipe because it is SO simple and easy to make and so delicious and fresh tasting. 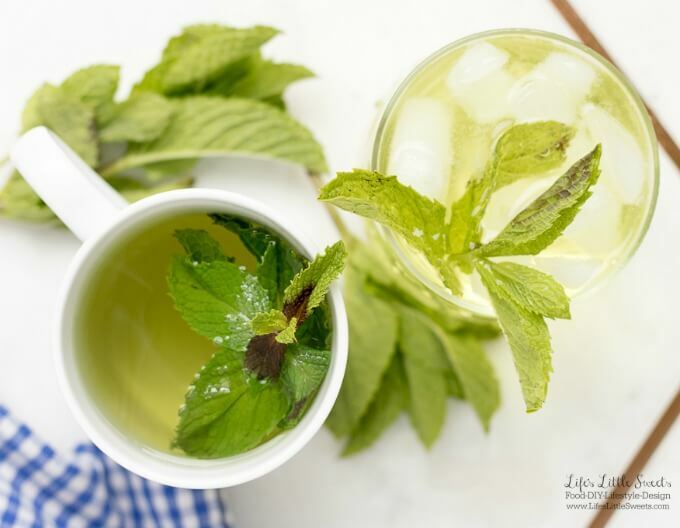 This Fresh Mint Tea is one of a few ways I relieve any occasional aches and pains I may feel. 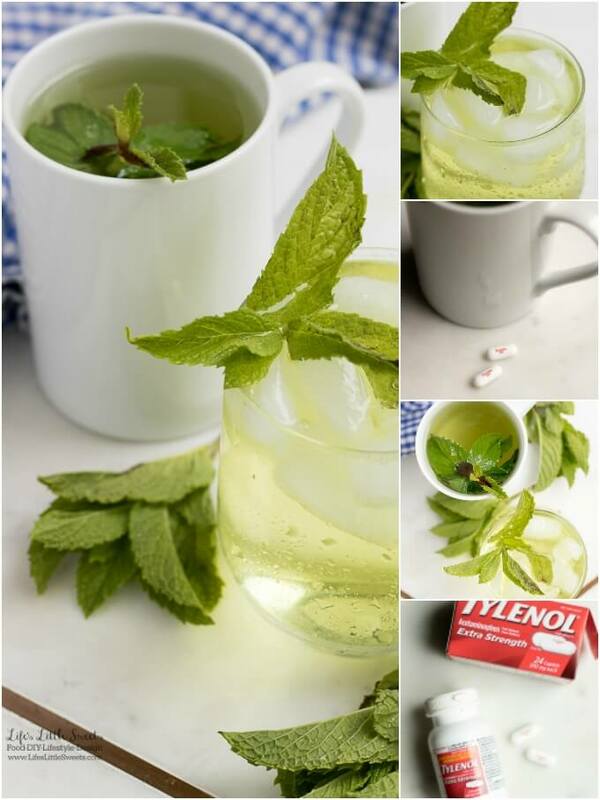 When my natural remedies like this Fresh Mint Tea do not ease any aches or pains that I may have, I reach for Extra Strength TYLENOL®. If you have been following along our Kitchen Renovation series, my lower back and legs hurt so much from leaning over after my husband Eric and I tiled our kitchen floor. It helped my back feel better and allowed me to keep up with my daily schedule which is pretty indispensable when you have a 3 year old and your own business to attend to! I recommend only taking TYLENOL® as directed and it must be stored in temperature appropriate ways. 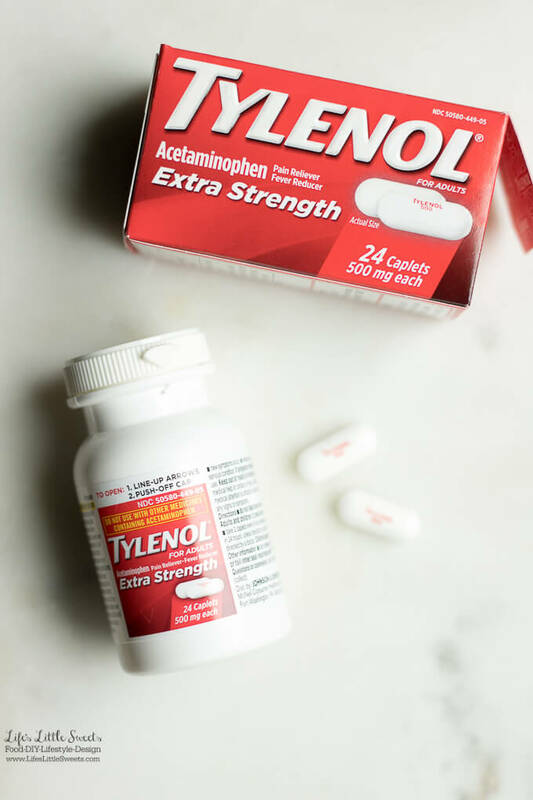 TYLENOL® temporarily relieves minor aches and pains due to: the common cold, headache, backache, minor pain of arthritis, toothache, muscular aches, premenstrual and menstrual cramps; temporarily reduces fever. TYLENOL® is only for adults and children 12 years and older and use only as directed. 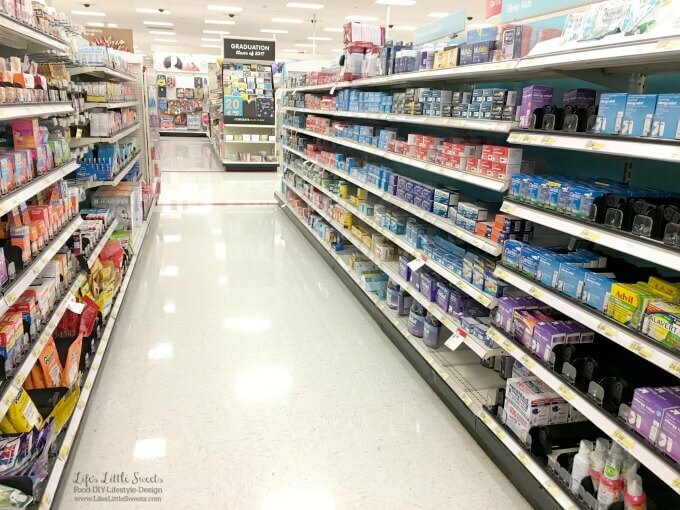 I bought Extra Strength TYLENOL® at Target and I found it near the pharmacy section. Have you been following along my garden update posts? We recently planted an herb garden and it includes a mint plant. I didn’t use it for this recipe because I just planted it and I want it to mature a little more before I start clipping it. I had some leftover mint and I will definitely use it to make my Stuffed Grape Leaves recipe. I first discovered making fresh tea a few years ago when Eric’s father, Michel’s late wife, Marie, made some from their garden in Long Beach Island. It was so good and fresh-tasting that I was hooked. 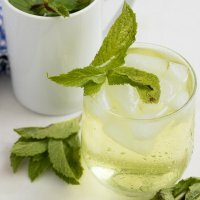 That Summer, I grew my own mint and made my own Fresh Mint Tea ever since. 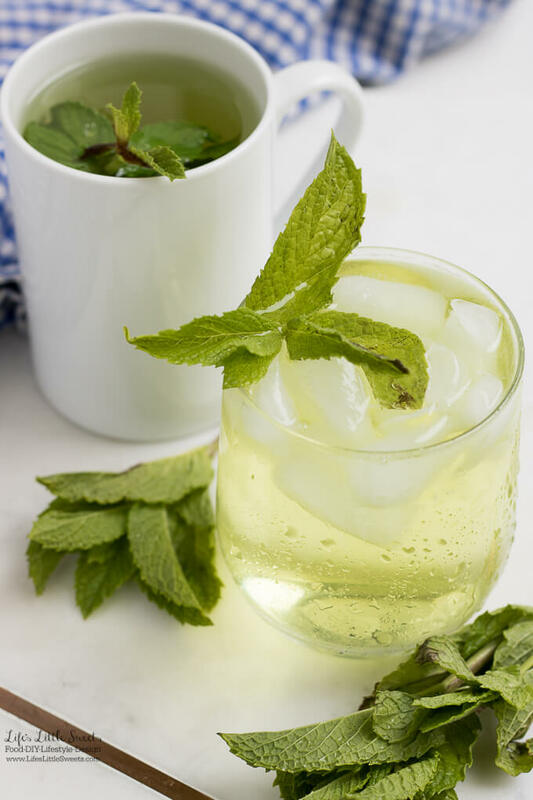 This Fresh Mint Tea can really be enjoyed all year round. It would be perfect for nursing a cold or just having a refreshing drink. 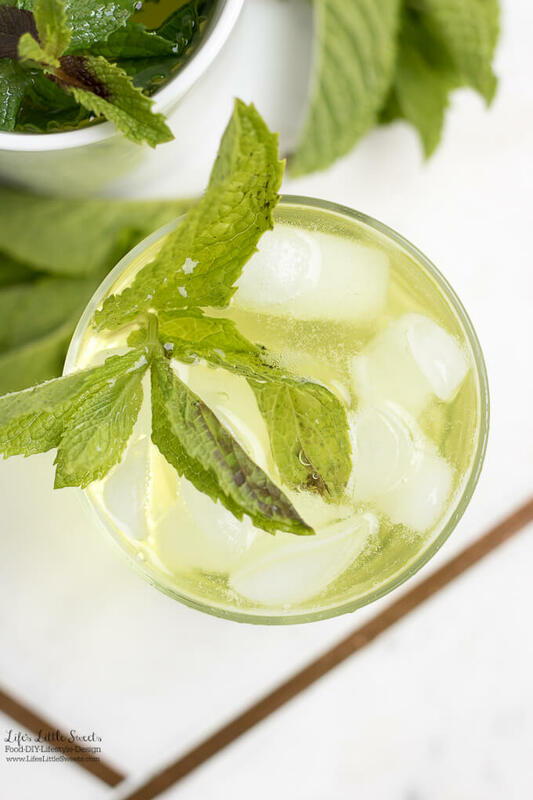 Imagine enjoying this Fresh Mint Tea on a hot Summer day or at a BBQ or picnic. This is an example of a cooling food/beverage, just like my Watermelon Mint Salad. I hope you enjoy this Fresh Mint Tea as much as I do! 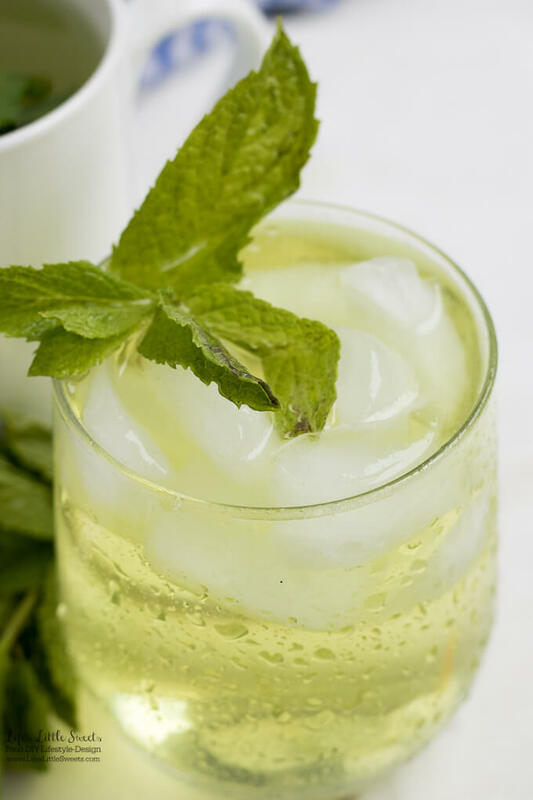 This Fresh Mint Tea recipe is light, so easy to prepare and delicious to enjoy. 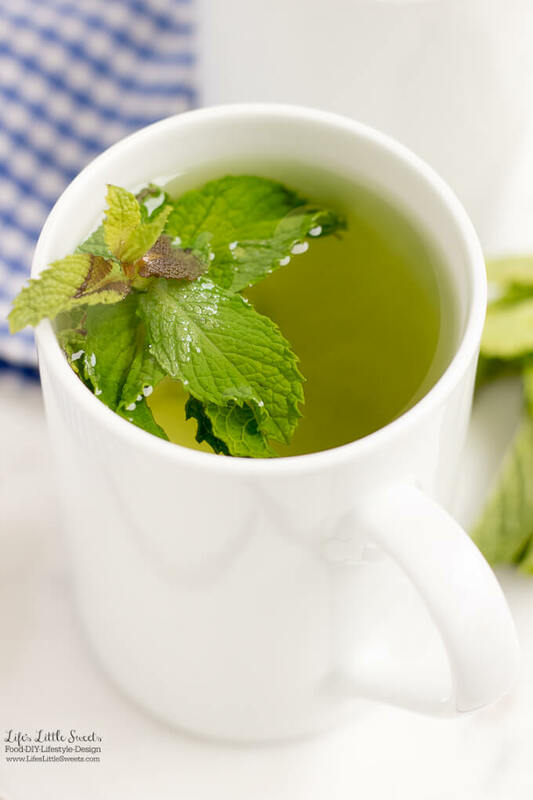 All you need is fresh mint leaves, boiling water and a few minutes and then you can be some Fresh Mint Tea! Enjoy hot or cold. 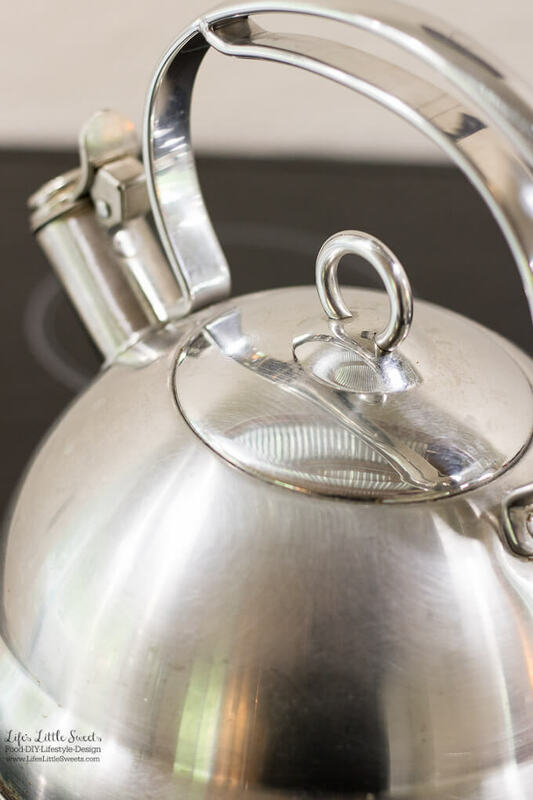 Bring water to a boil in a tea kettle on the stove top. Place a few mint leaves or a whole 4 inch mint sprig in the heat safe mug. 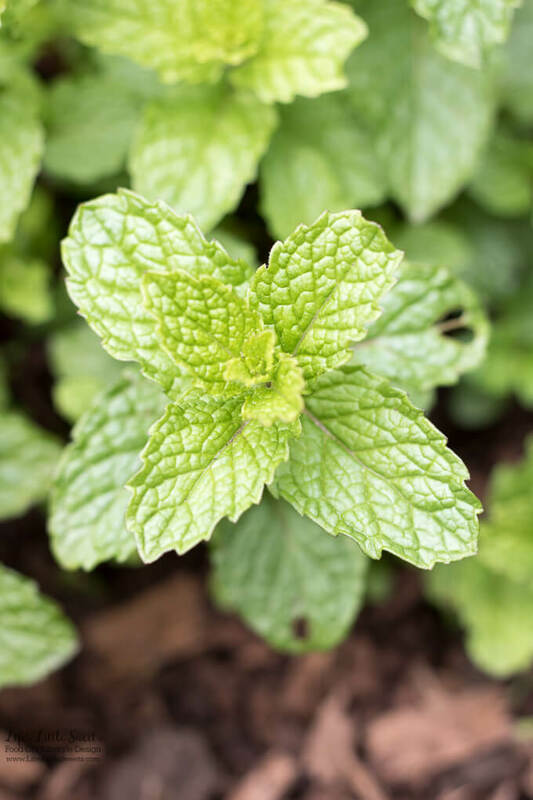 When water comes to a boil, pour the boiling water over the mint leaves. Allow to steep for 5 minutes or until desired tea concentration is achieved. Enjoy hot or add ice cubes to make cold. You can also chill in the refrigerator to have it cold later. Enjoy as is or add sugar/sweetener and/or milk.